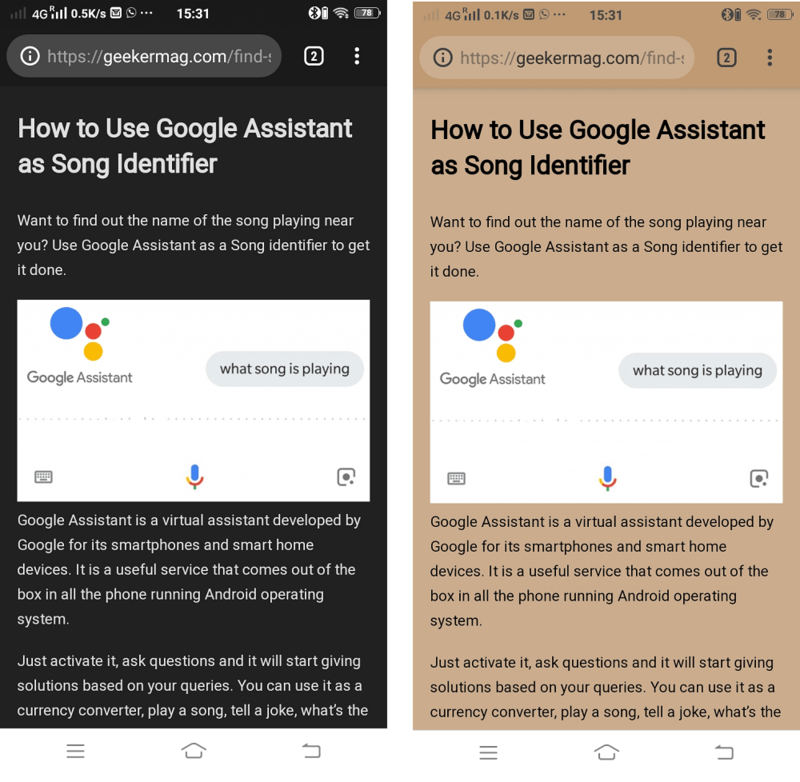 Dark mode for Google Chrome on Android, This is what you want? 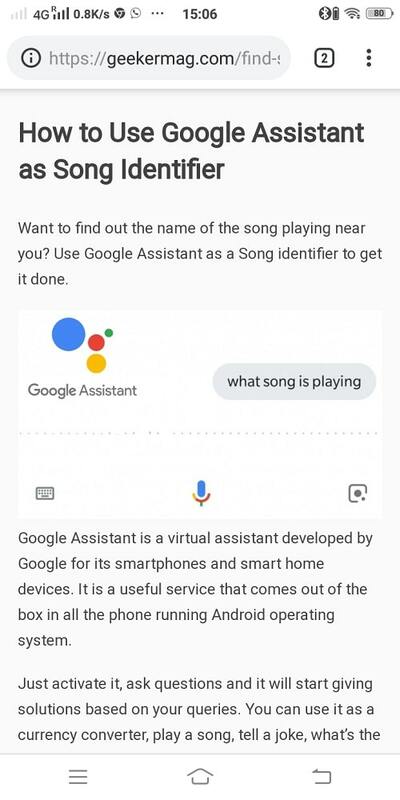 The following blog post has a workaround on how to get it. Nowadays a dark mode or black theme is in trend. Google has already released the dark theme for YouTube; Android oreo also comes with dark mode out of the box. Unfortunately, the dark mode in the Chrome browser is still missing. It is a number one web browser with 41.28% market share that means more users use it as compared to other browsers available. Even the Chrome major competitors; Firefox and Edge also has the dark theme. People were expecting that the company will introduce the dark mode in Google Chrome material redesign (Chrome 68), but again no luck for the users. Night mode is popular among users because it reduces strain on the eyes while using the device at night time. The users can also take advantage of the black theme if they don’t like the plain white theme. Majority of the users (including me) requesting for the Google Chrome dark mode for a long time, but it seems like the company has no plans for releasing the same, at least of writing this blog post. There are lots of dark mode extensions available for Chrome for desktop. Just install the extension and you’re done. 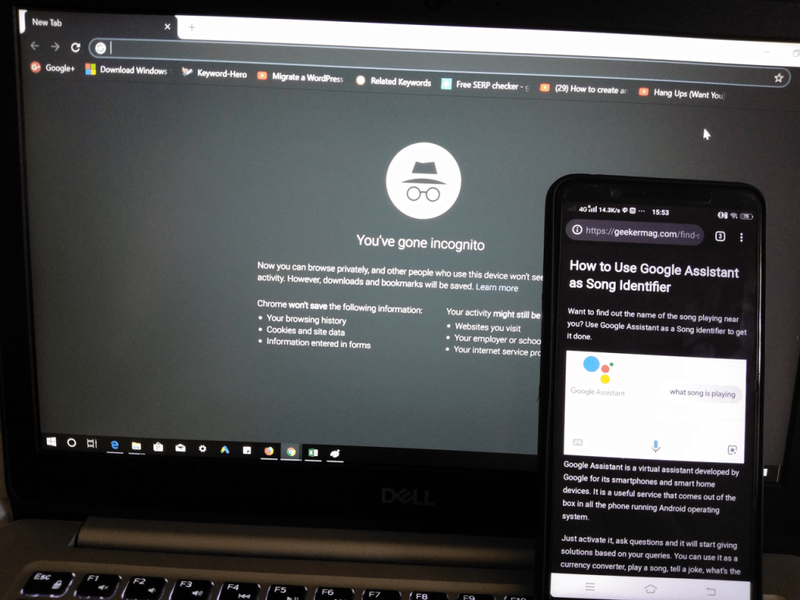 But how to use dark mode in Chrome for Android? Fortunately, it is possible too. 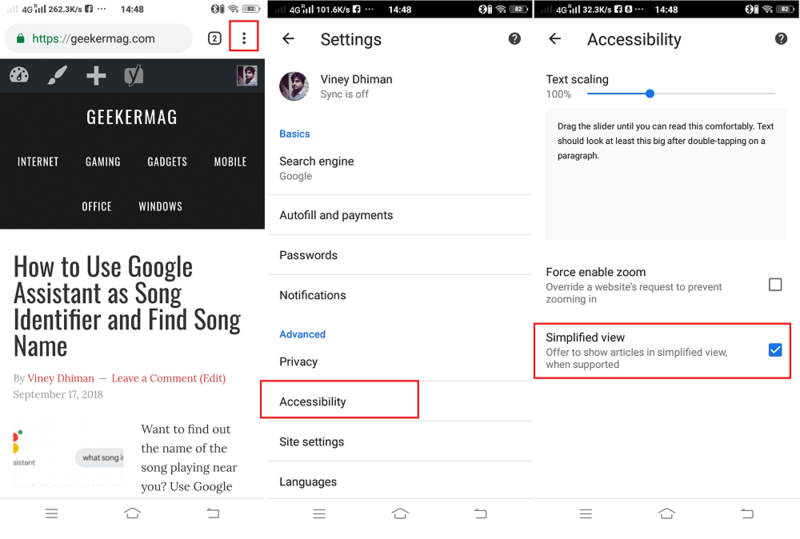 There’s a hidden feature using which you can use enable dark mode for Chrome on Android also. But, there is a catch. Currently, night mode in Chrome Android variant is limited to web pages. It means only the web pages of the browser will turn black and not the full browser interface. Don’t get confused. 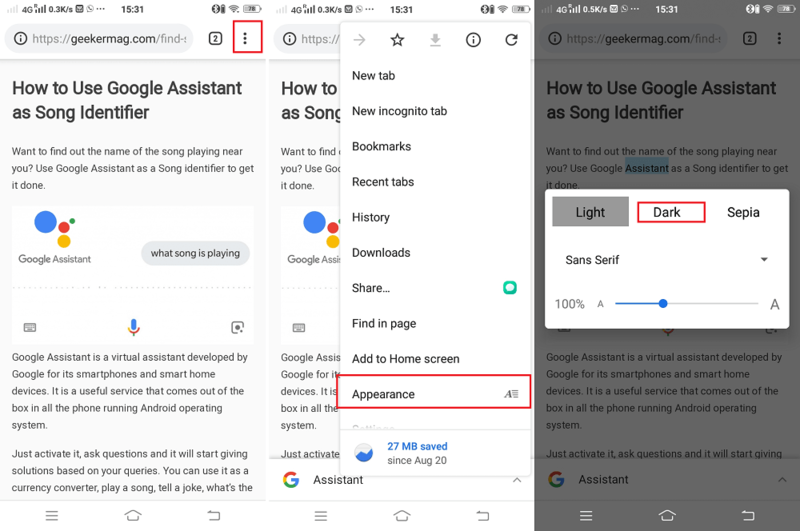 I will explain to you what it is and how to enable night mode in Chrome for Android. 1. Launch the Google Chrome browser on your Android phone. 2. Tap on the More icon (three dots) available on the upper right corner. From the menu select Settings. 4. On this page, check the box for the Simplified view. This is a one time action. You don’t have to do it again. When you enable this option, you will always see a ‘Show Simplified view’ dialog box at the bottom of the screen. And if you select it, the browser will turn the current page in a simplified manner. 1. Launch the Chrome browser. 2. Visit the particular web page for which you want to enable the black theme. 2. Next, Tap on the More icon. In the menu, you will see a new option, i.e., Appearance, tap on it. A quick dialog box will open up, here you can switch from Light to Dark. This will instantly enable black theme on Chrome for the same webpage. Apart from that, there is a Sepia theme accompanied by other customization options which includes font size and style. To exit the dark mode for web page either reload the page or press the back button on your phone. Currently, this is the only way to enable dark mode for Chrome on Android. Maybe not all the users find it useful, but it is always better to have something than nothing. I also a great fan of the dark theme and waiting for the Google to release the full-fledged dark theme for Chrome on Android. Find this blog post useful? What you like; Chrome light mode or Chrome dark mode? Let me know your thoughts in the comments.